Noah’s Ark is a poetic re-telling of the biblical tale, made entirely using footage from the North West Film Archive, with a score by Carl Brown (Wave Machines) and a layered spoken narrative from poet Nathan Jones (Mercy). Exploring the idea of preservation amidst an oncoming flood, the film uses archive footage to explore the difficulties in maintaining personal memories and cultural heritage within a shifting digital landscape. Noah is a minister in a church in Hulme who prophesises a flood to his people. As they rush to save what they can, they abandon any memories that might weigh them down. Together they set sail upon the high seas until they reach the Magic Isle, a place to build their new life – Fleetwood. As time goes by, their utopian seaside town begins to fade, and Noah is haunted by regretful nightmares of a sickening error, and visions of a new flood. This film was developed from the Gleaners artist residency at the North West Film Archive, Manchester, UK, commissioned by Abandon Normal Devices Festival, Oct 2010. The film can also be screened as a live event, with live music and poetry. A 20 minute adrenaline-fuelled machine-knitting performance – perhaps the first of its kind – in which Eadweard Muybridge’s iconic ‘Horse in Motion’ is knitted, ironed and animated to soundtrack of horse-themed 7-inch records. As the artist talks the audience through the process, the “will he / wont he” suspense is heightened by the self-evident danger of knitting-whilst-talking, and using a hot iron whilst listening to loud music. Those audiences lucky enough to see the artist successfully traverse the highwire tension of live knitting are rewarded with the wondrous sight of a knitted horse galloping onscreen, inviting rapturous applause. Previous witnesses have likened it to an almost religious experience. The Knitted Horse Performance has been successfully performed at Waterside Arts Centre (Sale), Creative Process (Liverpool), and Flatpack Film Festival (Birmingham). It has also been unsuccesfully performed at Film Material (Manchester), whereupon the knit carriage jammed and broke two needles. In November 2015, members of Rogue Artists Studios were informed that Crusader Mill, the home to Rogue as well as a number of textiles factories, has been sold to developers Capital & Centric. Whilst the news came as a shock, it was perhaps equally not a surprise, and perhaps even overdue. It placed the artists at Rogue and our neighbours in a tough predicament; either to look for new premises, and tackle the logistics of moving, or consider winding up. 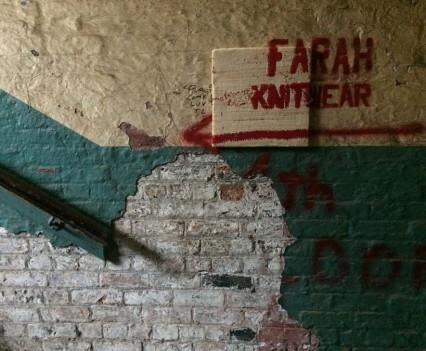 In the stone stairwell that connects the studios and the factories, hand painted signage pointing to previous tenants is daubed over layers of peeling paint. In the last few months, these have been complemented by the paper grid reference icons of the quantity surveyors. These works recreate samples of the formal signage, painted type, peeling textures and surveyance systems that ca be found in the stairwell. 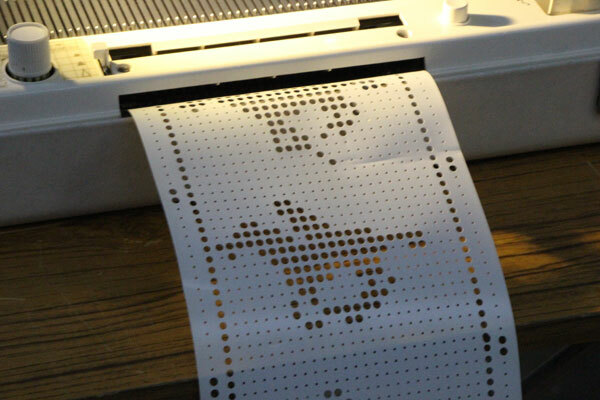 Each piece is created by documenting a 40cm x 40cm sample, reinterpreted as a knitting pattern, and machine knitted using carefully chosen yarns, before being re-installed over their orginal location, sealing their fate. A series of works looking at the experiences of people in downtown Montreal, and critically questioning the role of arts in a changing urban environment. 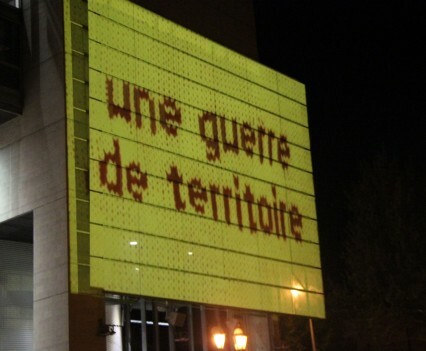 The works have been based on a number of interviews around Quartier des Spectacle, as well as visual research into the area. The works seek to record and imaginatively represent the ideas, experiences and iconography of the people living, working and passing through the area, as traditional knitted fairisle patterns, brought to life as animations, audio recordings, and installed as site-specific markers. The aim is to build a picture of overlapping and often conflicting perspectives on the area, revealing characters, stories, social dynamics and tensions, and ask the question “what is the place of the arts?”. 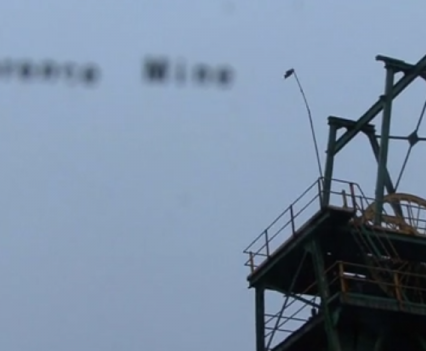 A film documenting views achievable from the vantage point of Florence Mine shaft no. 2, overlooking Egremont, Cumbria. Filmed using a traditional manual titling system bought on Ebay and lettraset to create analogue equivalent to motion graphics typography. Created for the ‘Unearthed‘ exhibition, Florence Mine. A database video installation drawing upon 2 accounts of a recent mine collapse in Egremont, Cumbria. Each interview is split into 100+ clips which are called randomly and played back with realtime fx rendering using isadora. The final piece will be shown as part of a group exhibition in Florence Mine, Egremont.